Meet the Banks sisters-Simone, Bunny, Tallhya, and Ginger. They feel like they are finally in the clear in connection with the recent bank robberies-until their mother shows up demanding her share at gunpoint. She threatens to snitch them out if they don't come correct. The situation becomes a bloody mess, and now, two sisters must band together to cover up the unthinkable actions of one of their own. As if that isn't enough, Pastor Cassius Street hits them with another major blow. He refuses to sign over the deed to their Me-Ma's home, as they had hoped. Luckily, Ginger has more than enough tricks to provide the pastor with a dilemma of his own. As the hunt for the bank robbers continues, Simone worries about being caught by the man she loves. He's the head detective on the case, and with the recent dead bodies washing up at the riverbank around town, he's closer than he thinks to solving the case. Bunny is dealing with the loss of her everything, Spoe. She vows to get her revenge by any means necessary on everyone who played a role in his untimely demise. Will she be able to convince her sisters to have her back once again? Tallhya is still hurting because of her husband's betrayal, and she feels like she's close to losing her mind. Can any of her sisters pull her out of her downward spiral, or will they completely shut her out? How will these sisters deal with their own mountain of problems, get back the only home they know, and get their lives back on track? Only time will tell . . . as long as they stay one step ahead of the circumstances they unwittingly create. 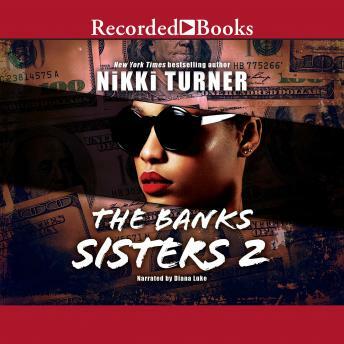 The Banks Sisters 2 will make your head spin with all its dramatic twists, turns, and deadly surprises.